Reflect more light than the disco ball in this gold 70's costume! 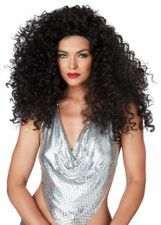 Adult women's costume includes shiny metallic gold stretch halter top and matching bell bottoms. The sleeveless top has elastic across the back and ties around your neck for an adjustable fit. 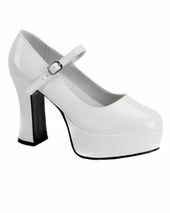 Great for a 70's pop star or gold digger costume! Jewelry and shoes not included. See more options in our 60s and 70s Costumes section!